Mr Claymore, a fire safety officer in Lockerbie, was inspecting our premises here recently as part of a routine check. Like many young boys in the 60's, Mr Claymore used to deliver groceries and bread for a local grocer, Stevenson and Wilson, after school and at the weekends. Each delivery boy was given a bicycle by the grocers in order to do their deliveries but his was quite unique in that it was the only bicycle with double panniers (baskets). As such we placed it in our museum here at Gretna Green to help preserve a slice of local High Street commercial history that was fast disappearing. 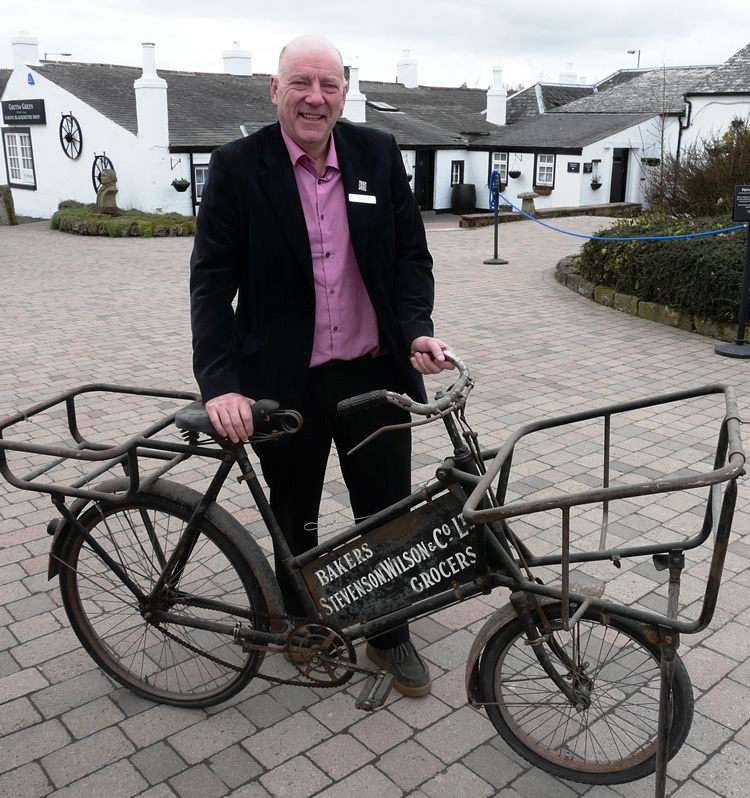 You can imagine Roger's surprise when he found his old delivery bike standing in our museum. It was a very emotional reunion for him and we were able to learn more about our great history and involvement in the local community of Dumfries and Galloway. Do you have any childhood stories of family members living/working in our lovely village of Gretna Green, or a personal connection to the Famous Blacksmiths Shop? If so, we want to hear it. Leave a comment in the comments section or send us a message on our Facebook page!